The Attends Contours 9 are for heavy incontinence but still provide a high level of comfort for urinary or faecal incontinence. These pads fit within stretchy underwear and provide a protective barrier so the patient can lead a normal life, without embarrassment. These pads work with heavy incontinence and are soft, with quick dry fibres so that they keep the skin dry. The fibres will keep skin dry, so that you don’t have to change the pad as often. There are flexible leakage barriers that move with the body and clothing. These pads are designed for patients who may need extra care, or who can’t control their bladder or bowels due to health conditions, disease, or who have undergone surgery, or are bedridden for any reason. Odour protection traps smells inside the pad, until the pad can be changed and discarded. There is also a breathable textile backing which rests against skin to minimize skin irritation, and prevent skin infections. 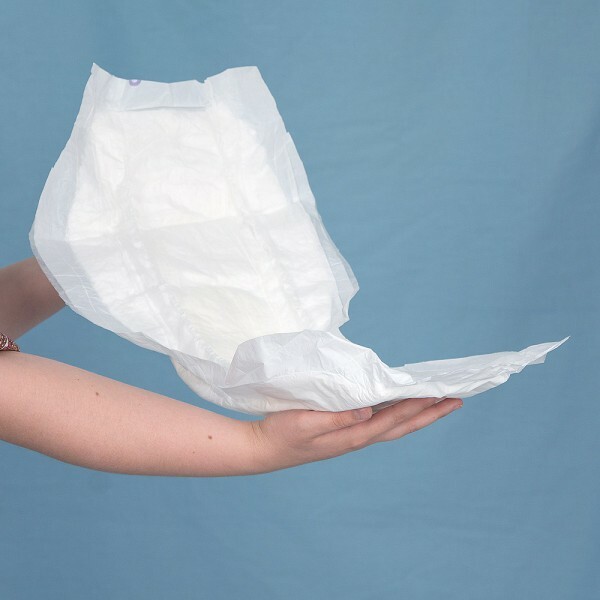 It’s difficult to tell with an incapacitated patient whether a pad needs to be changed. This process is simplified with a wetness indicator that will turn from its fresh dry blue colour to colourless when fully wet. When it changes to colourless, this is a notification that the pad needs to be changed. The Attends Contours 9 has been manufactured to a high standard using the latest dual core technology to trap fluids. Between the leakage protection and the unique quick dry fibres, caregivers and seniors will find these pads are quite reliable and long-lasting. 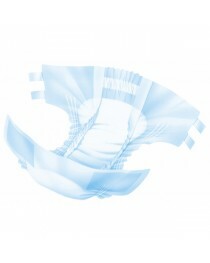 The Attends Contours 9 are white pads that attach with an adhesive to underwear. They provide a better solution than wearing full adult diapers. 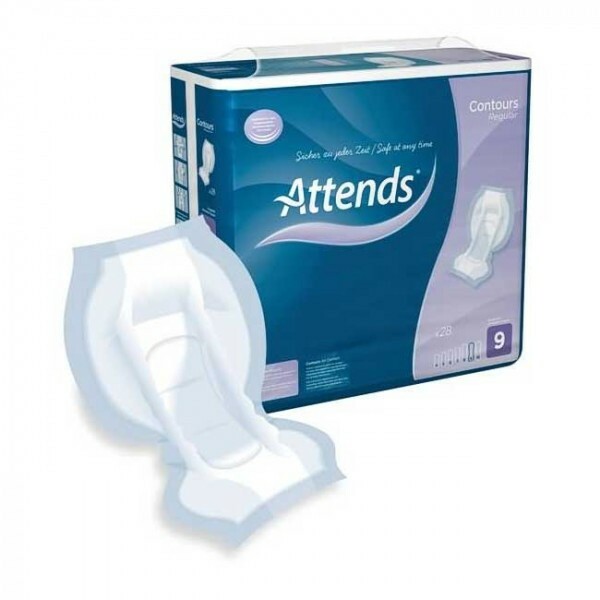 The Attends are level 9 in absorbency, one of the highest ratings in the line, suitable for moderate to heavy incontinence. They come in a blue and mauve plastic packaging to keep the pads clean and dry until you need to use them. There are 28 Attends Contours 9 in one pack that make them cost-effective. They can be used for short-term or long-term usage. The pads are designed to be used on stretchy underwear, and with stretch pants to provide the maximum comfort. • Quick dry fibres to keep skin dry. • Flexible leak barriers even during movement.